Social media image sizes can be tricky. What will look good on Facebook might not work well on Twitter and vice versa. 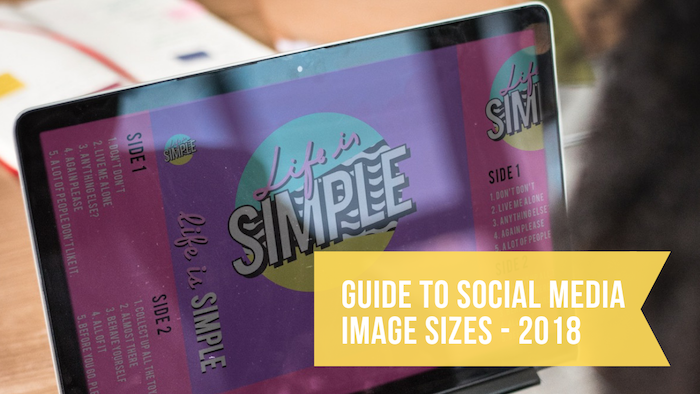 So here’s a resource that you can bookmark as guide to social media image sizes for Facebook, Instagram and Twitter. Every Facebook profile has a place for a profile photo. This serves as your profile’s avatar. Standard size for profile picture is 180 x 180 pixels. Please don’t upload photos below 180 pixels because it will not turn out well. This is the image that can be found behind your profile picture. It should be 820 x 312 pixels with 400 pixels as minimum width and 150 pixels as minimum height. This refers to how the image will turn out when a post is shared on your Facebook timeline. The standard size requirement is 1200 x 630 pixels. This social media platform is dedicated for photos. And take note that Instagram likes symmetry and fit images in a square, so it is best to maintain a 1:1 image ratio. Like Facebook, the image size requirement for profile pictures on Instagram is also 180×180 pixels. The standard Instagram post is just a photo which size should be around 1080×1080 pixels. Twitter is known for being concise and straightforward. Originally, it has the 140 characters limit, so you should be creative to capture people’s attention. Although Twitter recently doubled the Tweet capacity to 280 characters, it is still too short for sharing whatever you like. This is when you have to utilize sharing images. You may have already heard that tweets with photos get retweet 150% more than those that are just texts. The standard image size requirement is 400×400 pixels. Though there is no minimum pixel requirement, it follows that the smaller the photo, the more pixelated it would turn out. This is like the “background image” of your profile. With its 1500×1500 pixels requirement, you can surely upload excellent-quality and interesting photos that will captivate people’s imagination. There is really no minimum size requirement. In fact, Twitter will just edit your image based on its size. However, the recommended image size for optimal results is 1024×512 pixels. Now that you know the correct social media image sizes you can start implementing them on your accounts. And if you are wondering where to get high quality images for free that you can use on your social media accounts, checkout my previous blog post here. Hey I’d love to connect with you on any of these three social media sites. Please feel free to share your links on the comment section below so I can check them out.